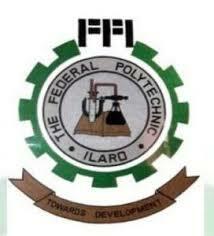 Federal Polytechnic Ilaro, ILARO POLY National Diploma (Full Time) Acceptance Fee, Payment and Registration Guidelines, Deadline/Closing Date for 2018/2019 Academic Session. This is to inform all the candidates offered admission into the Federal Polytechnic, Ilaro various National Diploma (ND) Programmes for the 2018/2019 academic session, that they are all required to proceed to the payment of the non-refundable acceptance fee. N.B: Please note that the deadline for the payment of acceptance fee for ND MERIT LIST is FRIDAY AUGUST 17, 2018. The deadline for the payment of acceptance fee for THE ND SECOND LIST is WEDNESDAY SEPTEMBER 19, 2018. The deadline for the payment of acceptance fee for THE ND THIRD LIST is FRIDAY SEPTEMBER 28, 2018. Re-upload their O’ level result.